1-CD Digipac (4-plated) with 31-page booklet, 14 tracks, playing time approx. 33 mns. 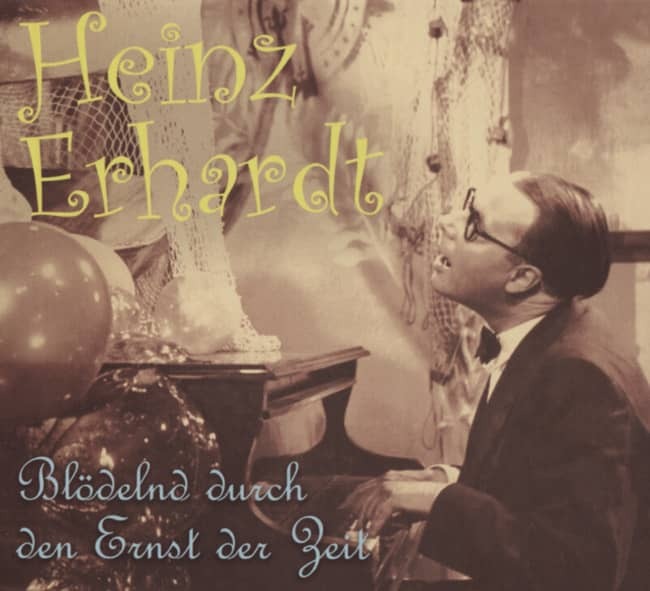 Sensational, worldwide first release of fourteen recordings believed to be lost, which present the legendary entertainer Heinz Erhardt in the 1940s as a singer and at the piano. 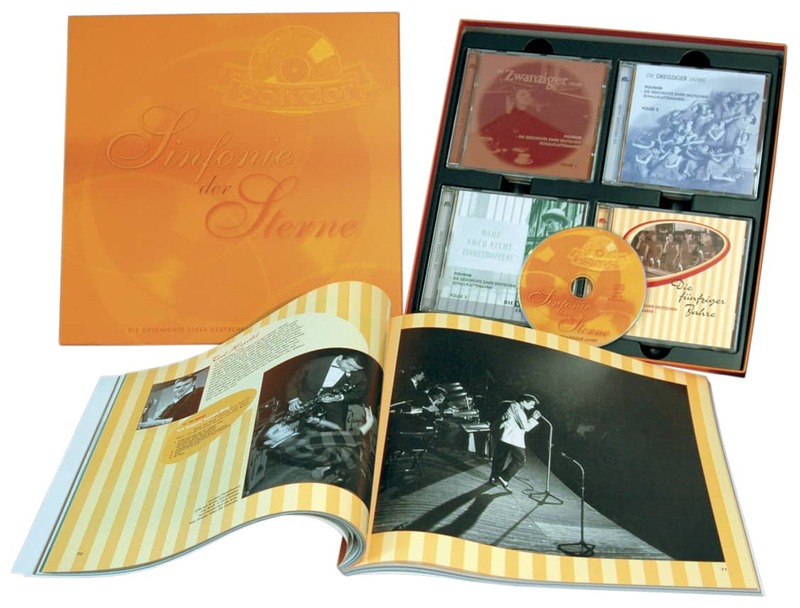 The album comes in a digipak with a 32-page booklet and plays for about 33 minutes. 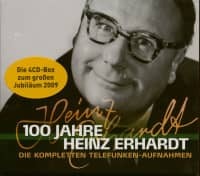 Shortly before his 100th birthday in February 2009, we opened another chapter in the career of this great, versatile entertainer. 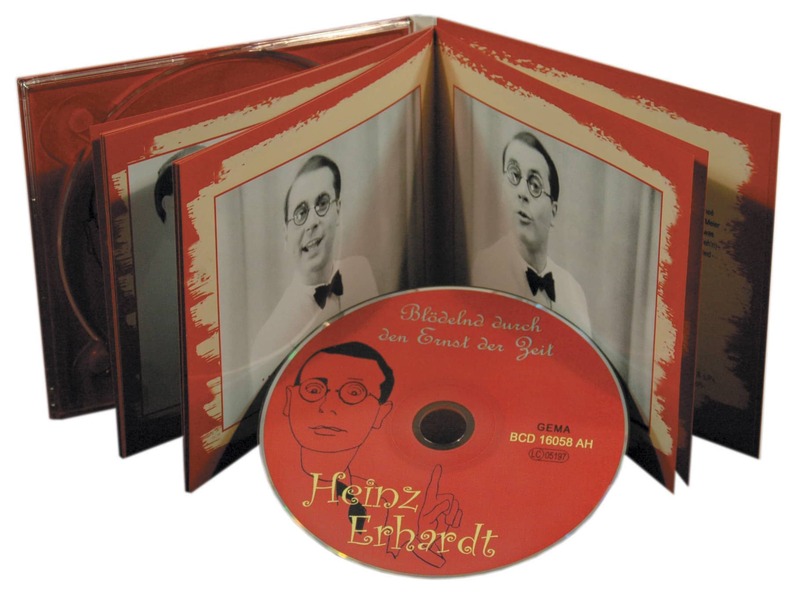 Before Erhardt became a gifted punster, comedian and poet, he was already considered a hopeful pianist and composer who wrote himself chansons and humorous songs. 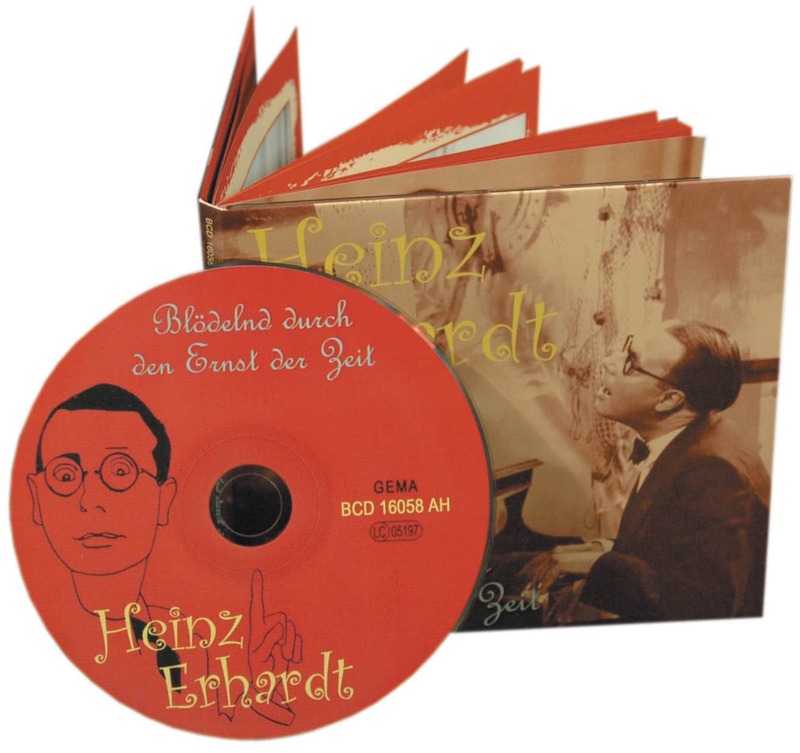 During the Second World War, for example, he sat at the black and white keys as a troop counselor in a naval orchestra and had already written a comic opera in the 1930s. His estate also contained piano pieces that he had created between 1925 and 1931. The pieces now discovered have never been mentioned before. It was only conserved in 1939 in an experimental programme for German prehistoric television. The other recordings were made between 1942 and 1947 of programs Heinz Erhardt believed he had already presented as a comic but always subtle solo entertainer at cabaret performances. 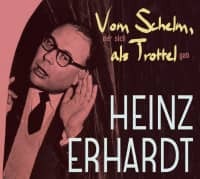 And already here Erhardt shone with (s)an inimitable artistic synthesis of humour and spirit, lyrical musicality and audience effectiveness. Compositions (text and music) originate from him, he accompanies himself on all pieces on piano. 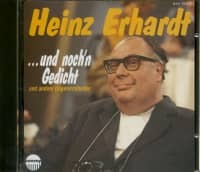 Decades later he became one of the greatest German entertainers and television, still the qualities he already hinted at more than just on the songs now available. 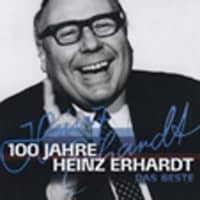 Heinz Erhardt has his greatest youth dream, namely to one day become a popular pianist and composer, so unnoticed this sensational Bear Family first release is also a deep bow to the art of this - in its very special way countless humorists, caberettists and comedians were, is and will remain role models. 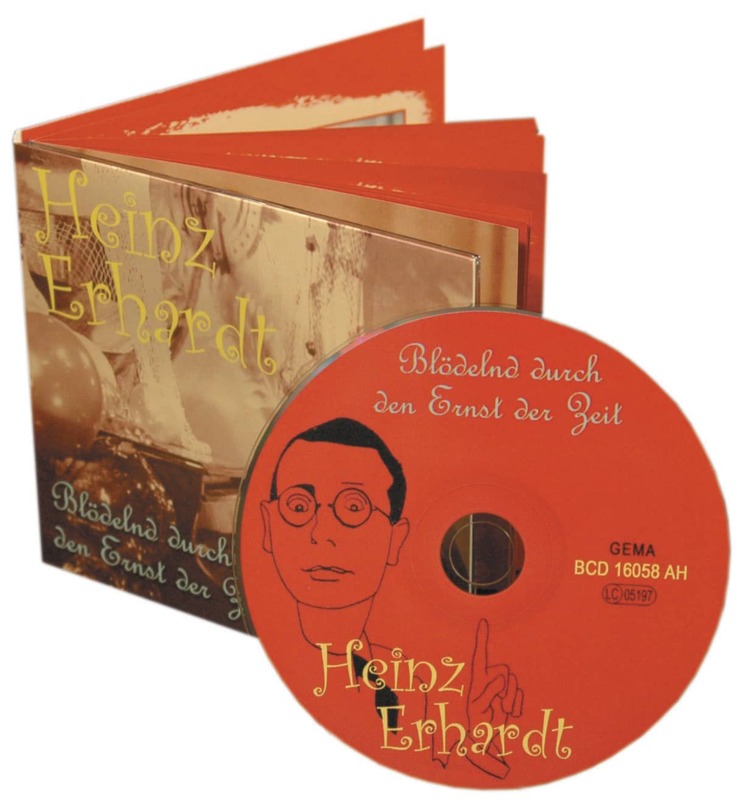 Customer evaluation for "Blödelnd durch den Ernst der Zeit"